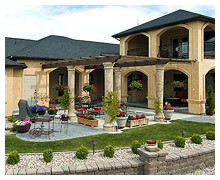 Building a custom home in Eagle, Idaho is a good real estate investment. The residents of Eagle not only value a good real estate investment but a superb quality of life. The many outdoor activities and mild climate make Eagle and the surrounding Boise area a great place to live. As your home builder, your quality of life in Eagle has increased twofold. The Town of Eagle, is located 13 miles from Boise, Idaho and is located in Ada County. The population of Eagle is 19,908	(2010 US Census bureau) and the elevation is 2,842 ft. The town's name came from early settlers who spotted a bald eagle nest near the Boise River, hence, the town's name of Eagle came into existence. If you plan to relocate to Meridian and plan to build a home, the Eagle Chamber of Commerce has an information packet available. They can be contacted at 208.939.4222 and they will mail it to you. The packet is free and contains various booklets, maps and brochures about the state of Idaho, Treasure Valley and the town of Eagle. We are in the business of providing satisfied customers throughout the state of Idaho. 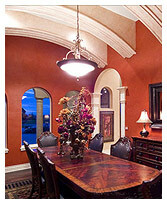 Our expertise is not only in building custom homes but in building quality custom homes that last. Contact us today at 208.280.3333 for an initial consultation.